Being situated between 37.4o and 38.9o South latitude, the region experiences a Temperate climate with dominant westerly winds, variable cloud, moderate precipitation and cool temperatures. Sixteen monthly and annual climate surfaces for the Corangamite region have been modelled by Peter Dahlhaus, using ANUCLIM, a climatic model developed by the Centre for Resource and Environmental Studies at the Australian National University. Of these, rainfall and evaporation are shown on this site. A range of climate and weather data is available from the Bureau of Meteorology website (see below). The Bureau of Meteorology website provides a regular radar update (external link) covering a 128 km radius from Melbourne. 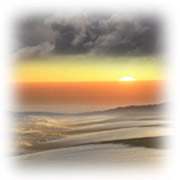 Bureau of Meteorology Climate Averages web site.